While we are on the topic of golden bikinis, how about this? Opinion – Trekkers, Jedi, Warslinge? 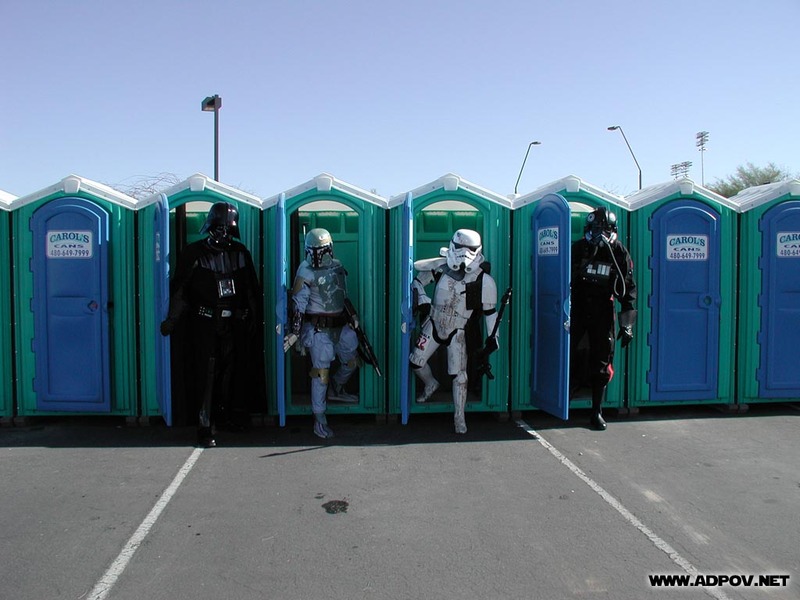 Imperial Forces take a Potty Break! This is my current wallpaper! Am a huge fan of Star Wars and I just couldn’t get more of it! The picture was taken at a convention I am sure, but don’t know which one, or which year! I have a complete Darth Vader costume myself, and also Lord Vader’s light saber. I should probably wear it this Halloween.